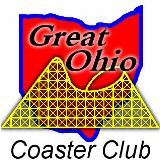 On Saturday December 7th, 2013 ACE - Northern Ohio Region and Southern Ohio Region held their annual holiday party. This year it was at Kings Island. Everyone was treated to a very nice winter tour of the park guided by Don Helbig which included the Banshee Construction site.